Imagine reaching out to a VP of sales/marketing at a company, someone who's responsible for the brand's success. Now, imagine reaching out to a huge group of them at once. With our sales and marketing VP email list, you can do just that! This pre-built, downloadable vice presidents or sales and marketing email list can serve as your ticket into this lucrative market. 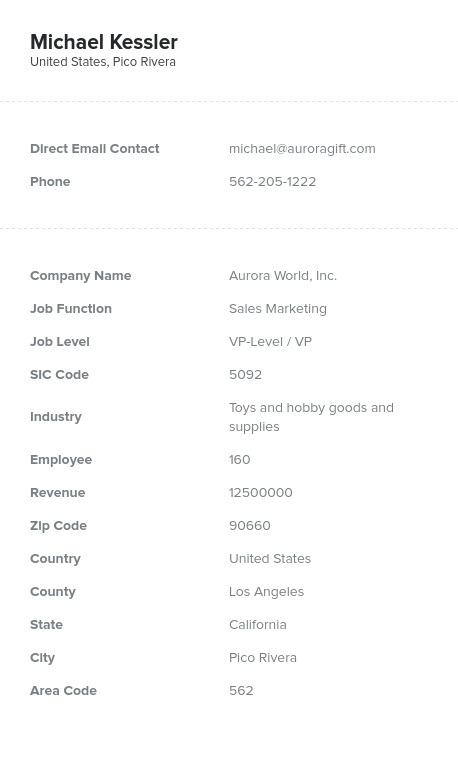 Within our human-verified contact database of senior and c-level sales and marketing professionals is the direct contact information your own sales team needs to contact potential sales leads. Sell to the people who are responsible for getting their brands in front of new customers. These are the jacks-of-all-trades within their industries, often managing conversions from brand awareness to final sale. When you're trying to flaunt a CRM, new marketing tactic, or management solution, contact VPs of sales and marketing. Buy a VP of sales and marketing mailing list so that you can help them improve upon their sales and marketing campaigns. This is an email database of vice presidents of sales and marketing, in which you can find numerous sales executives and marketing professionals at a vast array of spread-out companies. We pull the contact information of numerous organizations together, and this list of sales leads gathers all of the chiefs and VPs of sales/marketing departments together for you. We do the legwork; you make the sales! Sell and market your company's products and services to the leaders of sales and marketing! Download our mailing list of sales and marketing vice presidents today.